Understand the Multi-family client and how to be their PARTNER in success! 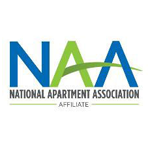 The Supplier Success course is designed to offer an overview of the apartment industry and recommends ways that suppliers can maximize partnerships with apartment owners, apartment management companies and apartment association members. It has been written by successful apartment industry suppliers with years of professional experience. Begin relationship building opportunities with other classroom participants. Additional associates may attend for $40.